What Factors Influence a Furnace’s Lifespan? Climate: Climate may play a factor. Units that are exposed to extreme weather may have a shorter lifespan. Another factor is living along a coast. Saltier atmospheres that can be found in places like Florida can also shorten the lifespan of a furnace and other heating/cooling units. Most professional maintenance checkups include inspecting the thermostat settings, tightening electrical connections, lubricating moving components, and ensuring the safe operation of system controls. Installation and Size: A furnace that is too small won’t heat a house enough when temperatures drop to extreme low. However, one that is too big is not only costly, but the more frequent cycles will place wear and tear on components more quickly, waste energy, and cause uncomfortable shifts in temperature. Finding a reputable contractor who will take into to consideration climate, the size of your home, and properly calculated your heating needs will help avoid the issue of incorrect sizing. There really is no rule of thumb as many factors play a role into how long a furnace could last. One sign that you should replace your furnace is when your repairs are cost more than it would be too replace. Also, some experts say that although your older furnace is running properly, it may not be energy efficient. In those cases, people need to decide if replacing the unit is worth it. Other signs that it may be time for a new unit include noisy equipment, rooms that are too hot or cold, or frequent breakdowns. Furnaces, air conditioners, and other HVAC systems do not last forever. Since this equipment can be a big purchase decision for customers, it’s understandable that they may have questions about whether or not to repair or replace older units. 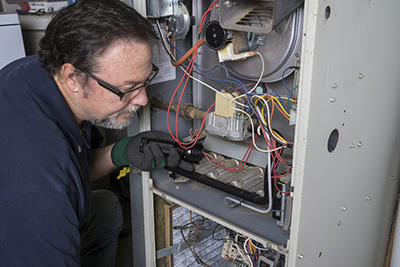 Knowing the factors that influence the lifespan of a furnace allow technicians to offer the informed advice that ensures they stay warm all winter long—and come back for pre-summer A/C checkup.